This is not a tour, but a life changing experience. I have to tell you that on the way home, Terry said this trip was the "best vacation of his life". He may have mentioned it at our farewell dinner as well, but I wanted to make sure that you knew it. One day, I hope to put my thoughts and feelings about the Camino into words. In the meantime, just know that you are awesome, your family is awesome and you have given so much of yourselves to all of us as we explored a unique and treasured bit of world history and current pop fascination across Northern Spain. How lucky are we! Nancy, you are a wonder. You have made this trip unforgettable! You are bright, articulate, organized, helpful and just an overall pleasure to be with. This is not a tour, but a life changing experience. You made me realize that I could challenge myself physically more than I ever had. Loved the fellow pilgrims, the food, the history, the culture, sites and your lovely family. What a gift! Thank you so much. Nancy makes the stones talk. Jose’s picnics – all brilliant. Nancy excelled herself with her enthusiasm, warm and friendly manner. She makes the stones talk. All of Jose’s picnics were brilliant. Where is he to prepare them for us in NZ? It was all a marvelous experience and made very special by Nancy, Jose and Sam. You all played an important part in imparting your knowledge to us and enabling the whole group to become very united. Thank you for giving us the opportunity to treasure such a memorable and special walk. Buen Camino. Awesome is inadequate to describe the love, passion, care and thoughtful planning the two of you have embodied in our wonderful journey. You should be very proud of your work. Thank you again for a truly memorable journey on the Camino de Santiago. Your tour is aptly named and it was definitely a once in a lifetime experience. You should be very proud of your work. I cannot speak more highly of the both of you and the care you gave us. Blessings to you both. May you continue in good health to share the glories of the Camino with other fortunate pilgrims who choose to follow you on foot in Spain! Jose and Nancypedia…. You are my personal miracle. Jose and Nancypedia! 12 centuries in 12 days! You made it happen. Thank you so much for enabling us and sharing your knowledge with us. You made our journey a sensory delight. You are my personal miracle. I treasured meeting each and every person on the trip. wish I could keep on walking. I treasured meeting each and every person on the trip. The big highlight was meeting you and Jose. You are such a wonderful couple and you bring so much care and enthusiasm to the work you do. Aside from all that, the fact that we are Kappa sisters made it all really special. Congratulations on a job and life mission well done. ….the wonderful memories will be with us forever. The Camino may be over, but the wonderful memories will be with us forever. I am at a loss for words to say how much I enjoyed the company of you Nancy & you Jose. Thank you for providing the perfect launching point for "exploring, dreaming, and discovering." Tony and I have been trying to practice what Mark Twain preached in that quote on your site: "Twenty years from now you will be more disappointed by the things you didn’t do than by the ones you did do. So throw off the bowlines, sail away from the safe harbor. Catch the trade winds in your sails. Explore. Dream. Discover." I have learned to plunge into new endeavors and new experiences with vigor. I will always think of our On Foot in Spain pilgrimage as the first step in that direction of doing unusual and exciting things with our lives while we are still able! The memories from that enriching and beautiful week will never fade. Thank you, again, for providing the perfect launching point for "exploring, dreaming, and discovering." Best to you and your family and don't be surprised if we show up again on one of your "walks" one of these days. 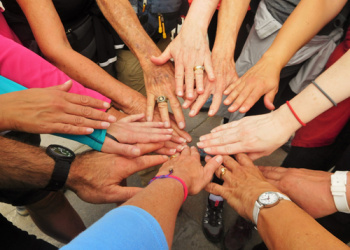 Your introduction to the Camino was a transformational event. Thank you, thank you!! Your introduction to the Camino for me was a transformational event. My return the following year for the walk from St. Jean to Finisterre, via Santiago and Muxia was extraordinary. I'm still mining it for learning, writing, visions, and discoveries. …expertise, energy, patience, and great sense of humor that contributed so much to an unforgettable experience. The planning and implementation of the tour could not have been more exact and competent. But both of you were able to transform a very good tour into an extraordinary experience. Anthropologists and art historians, I contend, must know everything and, certainly, Nancy, your introduction to us of the history, folklore, art and architecture, food, music, topography, and literature provided all us with an enviable introduction to a road that countless others have traversed without the same cultural stimulation. Further, you took care of us, assuring that we did not stray from the route, that all accommodations were satisfactory, and that none of us became lost or discouraged. This speaks to your openness and remarkable capacity to interact with a highly diverse group of travelers. In fact, you encouraged interaction, and I was delighted to share experiences with my fellow pilgrims. As I mentioned the last evening, the challenges of the walk divested us of identifications, thereby enabling us to appreciate the valuable qualities and diversities of others. You deserve our gratitude and congratulations on instilling us with such an exhilarating experience. Nancy and Jose, thank you very much for your expertise, energy, patience, and great sense of humor that contributed so much to an unforgettable experience. I cannot thank you enough for giving each of us (but especially me), such personalized service/attention and kindness. The Camino is about a shared journey and you and Jose shared your strong attachment to the region and the Camino with us making it a much richer experience. I have never been on a tour before, but suspect that they are pure business-like enterprises. This was much more intimate and was truly a shared journey not simply among ourselves but with natives who choose to share their thoughts and themselves with us. I leave feeling a sense of friendship from 7 short days. I truly cannot imagine doing this journey any other way. Thank you! …. the magical journey to Santiago ….continues to feed not only my spirit, but my soul. The onset of the holiday season, specifically Thanksgiving Day tomorrow, seemed an appropriate time to once again say thank you to you both for the magical journey to Santiago on which you led our group last month. I am in many ways still under the effect of those charmed days spent walking, talking, listening and learning from you. I unexpectedly still feel very zen-like and serene, something that rarely lasts more than a day or two after returning from a vacation. But the reminiscence of walking w/you through the history, culture, tradition and geography of not only Spain, but Galicia and the mystery of Santiago, continues to feed not only my spirit, but my soul. Wonderful for the heart, wonderful for the mind, wonderful for the stomach. Thank you for a wonderful trip – wonderful for the heart, wonderful for the mind, wonderful for the stomach. I wouldn’t want to recommend any other guides because of the wealth of knowledge the both of you have – about the Camino/different regions/architecture/culture. From observation, I like the way Nancy treats the people in the groups – you know when to be personal, when to be professional & you try your best to spend equal time talking to all in the group. Personally, I call that a balancing act. I am just so very thankful that I did the Camino with you and Jose. You asked for evaluation comments. And, while I usually get 'that look' from my husband when I more often than not offer my ideas on how something 'should have been done,' I can honestly say I offer NO suggestions for change in how you organize and manage this 7-day Camino adventure. Everything worked great for me, and I am just so very thankful that I did the Camino with you and Jose. And, the Camino IS still with me, and I, too, hope it does stay with me. Thank you again for all you and Jose did and continue to do for us pilgrims. I thoroughly enjoyed our little group of 6. And, although I began the Camino as sort of a 'tag-a-long' person …. I loved the experience...every step of it. Thank you for teaching me how to be simple and enjoying my life in an easy way. I still remember all the days that we spent together (almost every day!!!!). I am in love with walking now…cause I spent that time thinking about me and the important things in my life. Thank you for teaching me how to be simple and enjoying my life in an easy way. I will never forget that!....You guys are amazing!!! Could any other trip offer more? No way! This was the perfect trip. It included everything that I find important. Besides wonderful planning that translated into all of the excellent food, lodgings and cultural exposure and education, I also challenged myself physically and allowed myself to grow a little spiritually. Could any other trip offer more? No way! The smoothness of the operation – appears seamless. I really, really looked forward to this trip. It was all that I had hoped for and more….Nancy was full of interesting and amazing facts and anecdotes. Wonderful! The smoothness of the operation – appears seamless. On the first trip, I was a little more pre-occupied…This time, I was more relaxed listened more, saw more, felt the Camino more. The sense of contentment and whole I experienced in O Cebreiro is precious and unique. We have … been dreaming about when we can travel with you again. It was a joy to see what treasures Jose had found for our lunch. Mary and I keep talking to each other about how wonderful our Compostela trip was in October. It is hard to explain to those who were not with us, what it truly means to us. When we talk about the daily walking, they want to know how far we went and the kind of terrain. We have found it impossible to explain the feel of the morning air, the rhythm of walking, the vistas of the fields, or the fog, or the town and hamlets. We have tried to describe the great sense of accomplishment in climbing up to O Cebrero, how good dinner tasted that night, how we watched the queimada, and how comfortable the beds were, etc. Each day brought its own changes and different feelings. Most often it was a sense of gratitude for the ability to be there. During our single day of rain, I remember what a joy it was to walk with the rain on my face, and then how good it felt to put my hood up. We knew we were doing okay on the trail when we saw Jose on his bicycle riding our way. It was a joy to see what treasures Jose had found for our lunch. I turned 65 in Madrid just before the trip started and now I am rapidly approaching retirement from my job. You helped me experience the Camino and this trip will stay with me for a very long time. I thank you most heartily. We have lately been dreaming about when we can travel with you again. While we have not determined when that will be, we know that we will do it again. I thoroughly enjoyed the tour. As always you did a great job of integrating the walking, the eating, the learning and the conversation, all in the context of the lovely and fascinating places we visited. I just wish it were longer! It was lovely to cross paths and journey together again. I suspect that it won't be the last time. …it seemed we had known all the people all our lives! The experience was fantastic: right combination of walking, guided tours, excellent picnics!! !, free time, etc. In our case it was very relaxing and the company of Nancy, Jose, Marina and the group was exceptional. At the end of the tour it seemed we had known all the people all our lives! Moments that I will cherish forever. ….all the picnics were spectacular. It was an honor and pleasure to be on your tour. The walk to Ponte de Lima, through the lush, hydrangea-filled countryside was magnificent. Walking that day through a pine and eucalyptus forest with the sound of music out of the blue, from some church out of sight, was almost surreal. I’ll never forget the amazing and gigantic sycamore trees framing our path into Ponte de Lima. My favorite picnic was in the churchyard in Carracedo for the setting but all the picnics were spectacular. I am trying to recreate the salads Jose prepared with the straightforward ingredients. You need to publish Salads of the Camino. You’d sell millions. The trip materials were fantastic – really first-rate. Precision marked both preparation materials and execution of the trip, but I never felt ‘pushed’. There are too many things that come to mind. Moments that I will cherish forever. Thank you all so much for everything. I loved the trip. Thank you both for another superb Camino experience. We loved everything you planned and effected for us. And we hope to walk with you again. We also especially enjoyed the company of our fellow travellers (pilgrims??). I really enjoyed learning why things happened…. We sincerely hope our paths will cross many times in the future. Thank you for the wonderful trip. I had a great time; quite apart from being shown some wonderful scenery and historic settings I really enjoyed learning why things happened and how they contributed to the culture of the region. The spontaneity, both large and small, during the trip was refreshing – something I suspect was engendered by the easy going atmosphere of the group and the fact you and Jose already had an inkling of our personalities. As always the picnic food was terrific and the aperitifs a nice surprise. We will recommend your tour to all our friends. We have Charles to thank for recommending your tours and we had a great time! We will recommend your tour to all our friends. It was a non-plus-ultra, intercultural mediation…. We would like to express our deepest thanks to you for guiding us in every sense during those three days. It was a non-plus-ultra, intercultural mediation and we appreciated it very much. To Nancy Frey. The Best Guide Ever! Thanks for the Most Amazing trip/adventure. I couldn't have imagined or hoped for a more fun, experienced or better guide!! I'll be back.